Vintage baby clothes and accessories have seen a revival in recent years. Kate Middleton and Prince William are the perfect example of proud parents who love to dress their two children in throwback garments. The couple's little son Prince George is often seen sporting pieces such as rompers styled to look like a shirt and shorts and T-bar shoes with long socks. Princess Charlotte - born on 2 May 2015 - is usually spotted in old-fashioned smocks and cardigans. 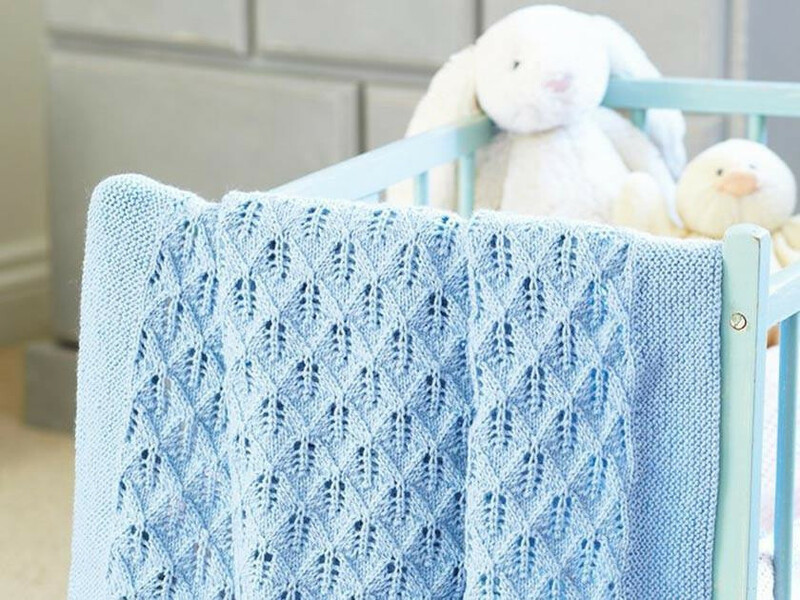 If we've inspired you to put your needles to use, we've got a number of wonderful vintage baby patterns in our online store. This sweet baby jacket knitting pattern made its debut in the 23 February 1963 issue of Woman's Weekly. A timeless design with a soft collar, it can be made to fit ages 0-3, 3-6, 6-9 and 9-12 months. The button-up can be made for a boy or girl. When it comes to keeping cosy in the colder months, it'd be hard to find anything as cute as this hat with pointed cat ears, a nose and whiskers. To ensure the woolly warmer is super-soft, we suggest working with an Aran wool. The design can be traced back to 1959 when it was featured in the 7 November issue of Woman's Weekly. With shallow set-in sleeves and a striped eyelet pattern, this is a wonderful example of a vintage baby cardigan that's still relevant today. The delicate V-neck design can be sized for a child aged 3-6, 6-12 12-18 months. The knitting pattern for this lovely frock has been taken from a 1938 issue of Woman's Weekly. Although it's almost 80 years old, we see it as proof that a dress cut in a classic shape will never go out of fashion. The satin ribbon adds an extra cute finish. We're sure that all new parents will agree that a little one can never have too many shawls to snuggle up in. Woman's Weekly printed the knitting pattern for this wonderful blanket in an issue of the magazine from 1956.